Saint Gervais is one of the six villages that comprise the Evasion Mont Blanc ski area. 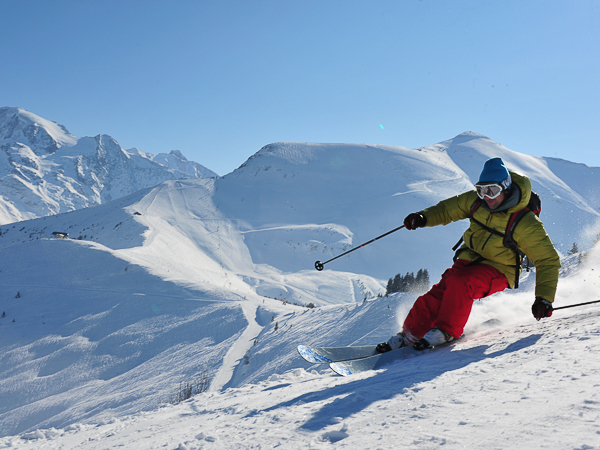 At 445kms, the accessible ski area is one of the largest domains in the French Alps. There is a huge variety of pistes, both in terms of difficulty and character. The open layout of the upper slopes makes it possible to ski in the sun for the majority of the day, and navigation around the ski area is easy. Many of the descents have a choice of red and blue runs, and there are easily accessible un-pisted areas as well. The views over Mont Blanc and the surrounding mountains are breath taking. Whether you are looking for gentle, cruising tree lined runs, engaging blues and reds or black graded steeps, this huge domain has something to offer all level of skier. 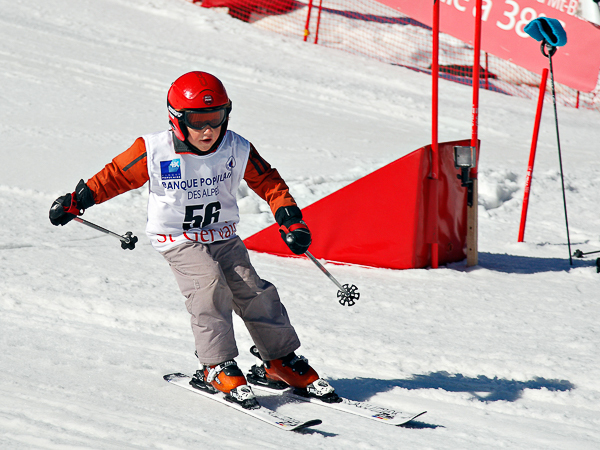 The nursery slopes, as well as the green and blue runs around Saint Gervais, make this a perfect resort to learn to ski. Unlike many resorts that tuck their nursery slopes away at the foot of the mountain, the beginner area here is right at the top and accessed by a two-stage gondola, giving it some terrific views. With no advanced runs feeding into the area, you can gain in confidence here without the worry of more experienced skiers speeding through (or indeed you careening into them). The domain is a cruisy intermediate skier’s paradise thanks to the extensive terrain on offer, both in terms of challenge and character. The quieter area of St Nicolas provides tree-lined runs and some hidden off-piste runs, whilst the more open slopes of Megeve feature long sweeping pistes. From the linking tree-lined runs of Mont Arbois and Megève, to the wild beauty of Combloux, Cordon and La Giettaz, the opportunities for days exploring the mountain are endless, with the added bonus of being able to ski back down to the village at the end of an excellent days’ skiing on a newly-built red run. Whilst the on-piste opportunities for advanced skiers are not as extensive as in neighbouring Chamonix, there are a good number of challenging runs, and the off-piste skiing in the area is excellent. With ‘experts’ flocking to the neighbouring Chamonix on a powder day, don’t be surprised if you have the off-piste to yourself. The black runs off Mont d’Arbois snake their way down through the trees and are often left un-pisted, adding to the challenge. For bumps, the run under the Mont Joux chairlift, or the moguls at the top of Marmire will get the adreneline pumping, whilst the black Princesse is fun for a blast, despite not being the steepest. 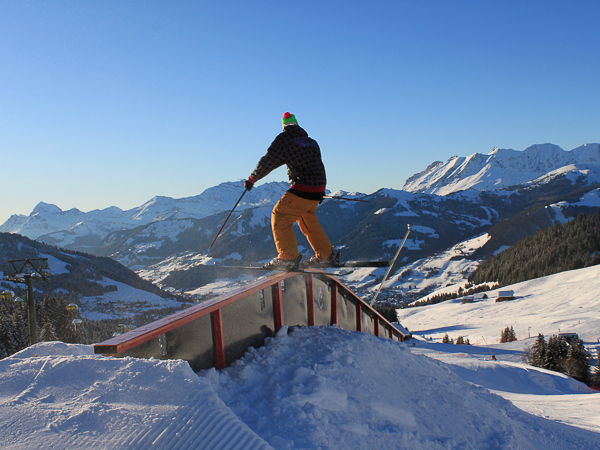 If boxes, rails and kickers are your thing, there are a variety of parks dotted about the area to keep you entertained throughout your short ski break. If you have any questions about skiing in Saint Gervais / Evasion Mont Blanc, or any other aspect of a short ski break in the French Alps, we have 15 years of local knowledge to share and are here to provide all the information you need. 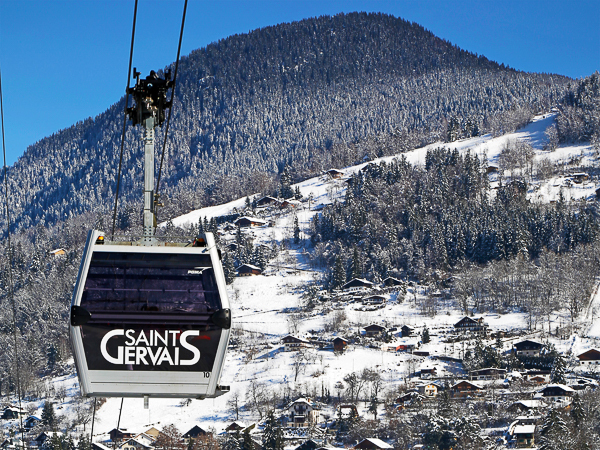 Looking for a Ski Holiday in Saint Gervais?